PALMDALE – Palmdale mayoral candidates Maggie Campbell, Lynn M. Minidis, Mitcheal Toles and James C. Ledford have confirmed their attendance at a minority-focused candidate forum this week. The event takes place from 6:30 to 8:30 p.m., Wednesday, October 30, at the Chimbole Cultural Center-Joshua Room, located at 38350 Sierra Highway in Palmdale. It is presented by the Antelope Valley chapters of the League of United Latin American Citizens (LULAC) and the National Association for the Advancement of Colored People (NAACP). The forum will allow candidates to express their positions on issues that directly impact the African American and Latino communities of Palmdale, organizers said in a press release. Misconduct by local law enforcement is a grave concern to the Latino community and the immigrant community, in particular, according to Xavier Flores, President of AV-LULAC. Another pressing issue is the over-concentration of alcohol outlets and their relationship to high violent crime rates in communities with large minority populations, organizers said. 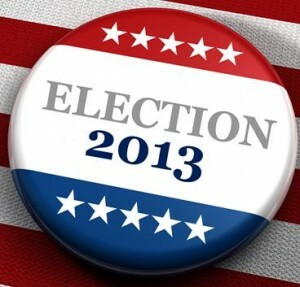 Candidates for Palmdale City Council have also been invited to participate in the forum. However, only Sir Duplechan has confirmed his attendance so far. Organizers are expecting more confirmations before Wednesday. 8 comments for "Candidate forum Wednesday to tackle minority issues"
Please know that the candidates for Palmdale City council positions, Fred Thompson, Tom Lackey and Richard Loa, have also confirmed. We expect to conduct a respectful and insightful questioning of candidates regarding issues of grave concern to our communities. We have every expectation to garner from them their knowledge, understanding and positions on the issues. It is our sincere hope that this will help the electorate make a more informed deliberate decision when casting their vote on November 5th. Considering that “graffiti” is a major issue with Mr. Loa, and being that the hispanic community has a large number of people who have committed the offense (as well as other ethnic groups, not a racial target), perhaps LULAC would be so kind as to nail Mr. Loa’s plan of action on his broad campaign promise down. It’s pander time in old Palmdale. “The AV-NAACP and AV-LULAC invite the entire local community to hear, firsthand, the candidates’ responses to these important and critical issues” Ahhh not so much for most people in the AV. Maybe TRex will come and bring Stan his NOI brothers. Misconduct by Hispanic gangmembers who are a majority in the area, needs to be addressed.That is more of a concern to me. Xavier Flores, President of AV-LULAC is a bigot and a racist. I am surprised any candidate would attend a function where he is involved. Wow, those are some very harsh words for Mr. Flores. I don’t know the man, so I can’t defend him. But why don’t you tell everyone WHY YOU believe the man to be a bigot and racist? If you can’t provide examples then you are just trashing and name calling into cyberspace with zero credibility!